Amit Agarwal is a famous name in India’s blogosphere. Both, newbies and professional bloggers look upon him for almost everything related to blogs. In addition, his blog Digital Inspiration not only bestow the bloggers with all the Technology related stuff, but also gives the common man a platform to read “How To” guides and software tutorials in this confusing and complex mosaic of world wide web. Here I shall share some of the interesting facts about Amit Agrawal. Amit Agarwal started blogging in the year 2004, which means he has been blogging from a decade now. Makes us wonder – what could be the first blog post that he published on his blog? While, he has been writing a lot of technical stuff these days, let me tell you his first blog post was a review of a printer which he had purchased back then. 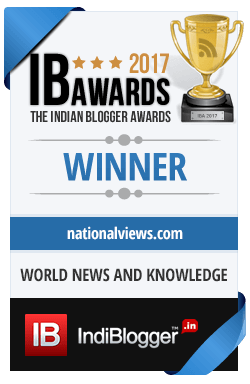 The Blogging Journey of Amit Agarwal Started With a blogspot.com site. Amit’s blog Labnol.org was born when he decided to shift from Blogspot to WordPress. The blog was first hosted on blogspot.com and had the url something like this http://labnol.blogspot.com/ which was later redirected automatically to http://labnol.blogspot.in/ by Google. In the year 2011, Amit Agarwal came up with an e-book book titled The Most Useful Websites – This book talks about 150 lesser known yet very useful websites that can easily increase your productivity. Amit is working on the second edition of the book. If you are frustrated with the fact that you are restricted to only 140 characters in Twitter, you need to check Tall Tweets, a web app created by Amit Agarwal. With tall tweets you will no more be restricted to 140 characters. What’s more, even Amitabh Bachchan uses this feature. Another app created by Amit Agarwal for Twitter is Sleeping Time. The app can tell you the sleeping schedule of almost anybody registered on Twitter. Yes, anybody, including your favorite celebrity and the most irritating Politician on the micro-blogging site. The other day my father, a 60+ man (highly enthusiastic about mobile Internet) was giving me some of the amazing tips on how to use certain software on the Internet. Since, he was the one who had downloaded WhatsApp in its very first month and even introduced me to it, I thought my father is now switching his interest from mobile to software. I was enjoying learning certain tips and tricks (about various software, Google, Video Podcast, WordPress etc) from him which I had never heard before. Every day, I learned something new and amazing – which obviously I could boost later amongst my friends – something like how to create my own Twitter Archives or how to edit PDF files without even using Adobe Acrobat. Nevertheless, the techniques helped me a lot. To my surprise, using these tips reduced my time drastically and it increased my productivity. When I asked my dad about the source of this sudden gyaan which he was bestowing him, he said he is doing nothing, but just following Labnol.org. Yes, that’s Digital Inspiration – an institution in itself!